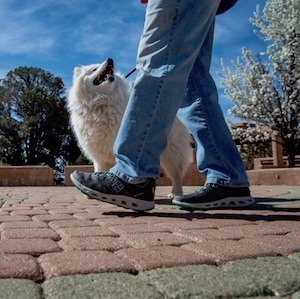 Whether you’re traveling some place and want to find a labyrinth to walk or if you’re looking for a labyrinth near home, there is an easy way to locate the nearest labyrinth. The Labyrinth Locator, a project, of The Labyrinth Society and Veriditas, is a database of labyrinths all over the world which can be visited, with locations, pictures, and contact details. To connect to the Worldwide Labyrinth Locator, click here. If you have or know of a labyrinth that you would like to have listed in the database, you can add it by clicking here. If you think that the labyrinth experience is just for humans – think again! As this video shows, using horses in the labyrinth can be a powerful way to process emotions and reach deeper levels of understanding and awareness. 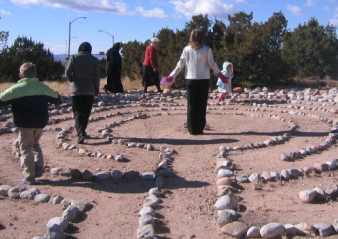 Walking the labyrinth encourages the connection between ourselves and the world. Here is a short introduction to walking the Labyrinth. A labyrinth is not a maze with mental challenges and blind alleys. You can get lost in a maze! In a labyrinth, there is only one path from the entrance to the center and back again. There is no “right” way to walk the labyrinth; there are no “right” thoughts to have. Let your experience be your own. The path of the labyrinth is like the path of life – with twists and turns. Allow yourself time for the journey, to encounter others on your path. There might be a thrill of pleasure as you approach the center and sometimes a flash of insight before you leave. For a list of online resources about labyrinths, click here. That labyrinths date from as early as 18,000 BCE. Labyrinths or images of labyrinths have been found in many parts of the world: Egypt, India, Scandinavia, the United Kingdom and, in New Mexico, in Galisteo and on the Hopi Mesas. Labyrinths are set into Roman mosaics, on the stone floors of medieval churches and cut into the turf of English village greens. Today there are thousands of new labyrinths from South Africa to Europe to the U.S. and Canada. 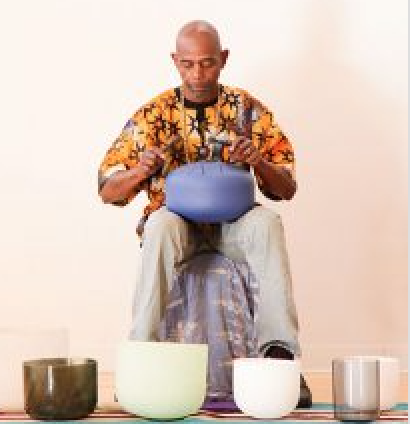 People find that they need a time and place to reflect … a chance to step out of the busy-ness of ordinary life … so they can listen to their inner voice. Stepping into the labyrinth and following its twists and turns often provides an opportunity to reflect, to ask questions and to discover answers. To find a labyrinth near you, click here.